Set up a special small table at the wedding reception with a flower arrangement and a card saying “In memory of those loved ones who are not with us today” or more specifically, “In memory of Martina Jensen, mother of the bride.” You could also put a picture of the bride or groom with the deceased person you are honoring. 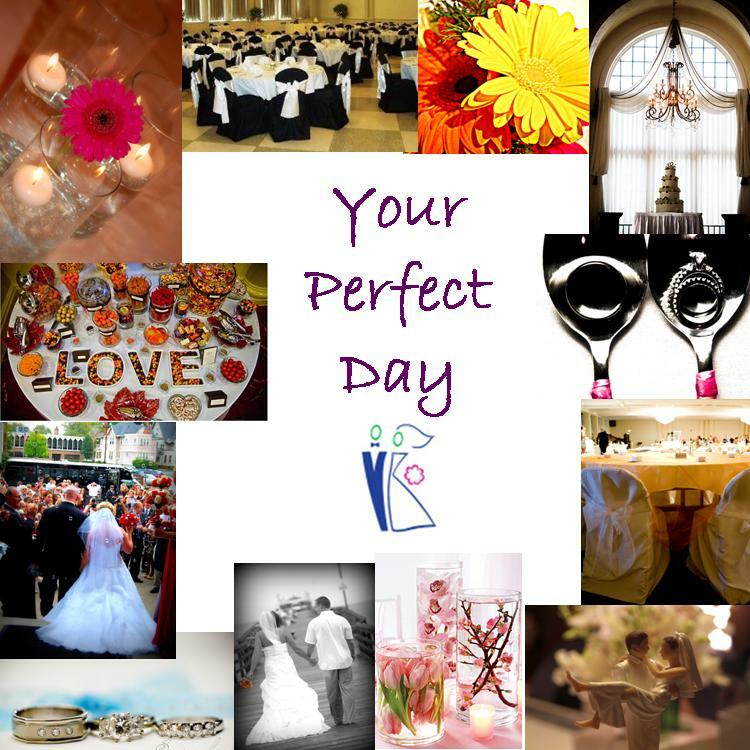 At the wedding reception, display wedding pictures of family members, or pictures of loved ones with the bride/groom. This is a more subtle way of including the dead in your day. Wear a piece of jewelry or article of clothing. (For example your mother’s wedding dress, your father’s cuff links, or your grandfather’s signet ring). Carry the same flowers that your mother had in her bouquet. If the person who is conducting the ceremony is someone who knew the deceased relative, it might be appropriate for him/her to say something during the ceremony - particularly if they are saying a homily or other sermon-like speech. They might say "Today, we have come together to celebrate the love of these two people and the life they are building together. As many of you know, the groom's father recently passed away. And in times like these, it can be more important than ever to honor love and family. I know (groom's father) was so happy to see (groom) find the love he has with (bride). Although it would be easy for his recent death to make this a sad occasion, (Groom's father) would want to see you all so happy today,celebrating and full of joy. So today, let's remember how precious life is, and be thankful that (bride and groom) are creating a new family together." Barbara says "My father died about 8 months before my wedding, so he couldn’t walk me up the aisle. I walked up alone, and carried one of his silk handkerchiefs - boy did I need it!" Max suggested the bride dance with her mother for the father-daughter dance, to her late-father's favorite song. Joan says "My older brother will stand in for my dad who died 2 years ago.We will play a special song by Heartland “I loved her first” I am getting married Dec. 23, 06 to my best friend." Robin suggests leaving empty chairs for favorite deceased relatives at the wedding ceremony. Melissa had lots of great suggestions: 1)placing photo charms of loved ones in the bride's bouquet. 2)lighting candles during the wedding ceremony for each of the deceased relatives. 3)a son standing in for his grandfather in walking the bride down the aisle and during the traditional father-daughter dance. 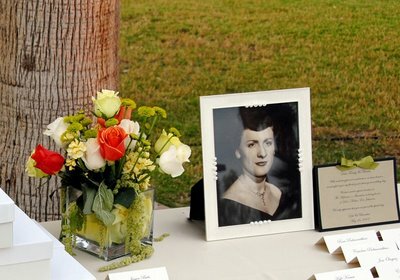 At her wedding, Ria set a table with a photograph of her deceased parents, a button holer, a corsage and two candles. The following day she placed her head table's floral arrangement on their graves, along with a wedding photo. Shelby plans to honor her beloved grandfather by displaying his WWII flag at her wedding. Cyndy plans to incorporate her father's wedding ring into her bouquet. Kristin will honor her father, who coached her soccer team, by wearing shinguards under her wedding dress!